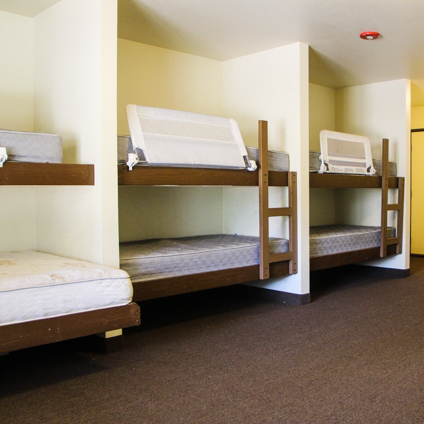 Campers live in gender specific cabins throughout the course of their stay at River Way. 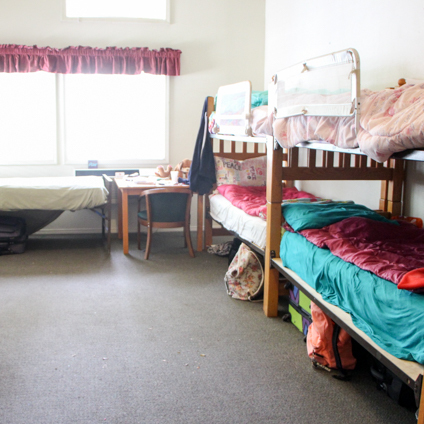 A typical cabin will have 8 campers with 2 counselors overseeing their health and welfare. Our cabins are resort style accommodations complete with air conditioning, electricity, and indoor restroom and shower facilities. Most beds are twin sized bunk beds and campers are encouraged to either bring a sleeping bag or a bedding set if they would prefer. Camper comfort is a top priority here at River Way Ranch Camp!